The Miss Fredericksburg Fair Pageant was established in 1953. Over the years, additional pageants have been added to provide young women an amazing opportunity to meet new friends and have fun. Miss and Teen Miss contestants will compete in an Interview, Personality Wear and Evening Gown categories. They will also participate in an opening number, which will not be judged. Gowns should be long and age appropriate. Personality Wear should be non-glitz and represent the individuality of the contestant. For the Interview, contestants may wear a dress or business/interview suit. Any wardrobe questions should be directed to the Pageant Directors. Tiny Miss, Little Miss, and Pre-Teen Miss will compete party attire. NO PAGEANT ATTIRE. Contestants should have minimal make-up and outfits should to “off the rack”. Please no long length pageant type dresses. Optional: Photogenic for all age divisions. Score will not be included in the competition score. All contestants competing in the photogenic category will need to bring their picture to orientation. Photogenic entry is included in the registration fee. There is a non-refundable registration fee of $25.00 for groups 5 to 12 years of age. Miss and Teen Miss registration fee is $50.00 which is also non-refundable. This fee is due with your application. 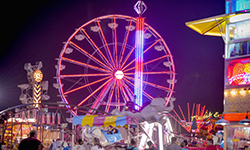 Make checks payable to the Fredericksburg Agricultural Fair. Pageants will be held rain or shine! Contestants must be single, never married, without children and never have been pregnant. Contestants must be female and have been born female, must possess good moral character having never been convicted of a crime nor have any criminal charges pending, and must have never committed an act or engaged in any activity which could be characterized as dishonest, immoral, immodest or indecent. This also includes any improper action on social media, in print, or via any electronic form of communication. Contestants and guests will conduct themselves in a proper manner at all times. Any display of poor sportsmanship or uncooperative behavior from the contestant or accompanying family/guest will result in disqualification from the contest. Age group Queens will be required to participate in Fredericksburg Agricultural Fair events and community events throughout the year. The Miss Fredericksburg Fair Queen will advance to the Virginia Association of Fairs State Pageant. Please remember that this commitment will require extensive preparation. We will assist you in every aspect of the competition but you MUST be willing and available. Failure to comply will result in forfeiture of the title to the 1st Runner-Up. 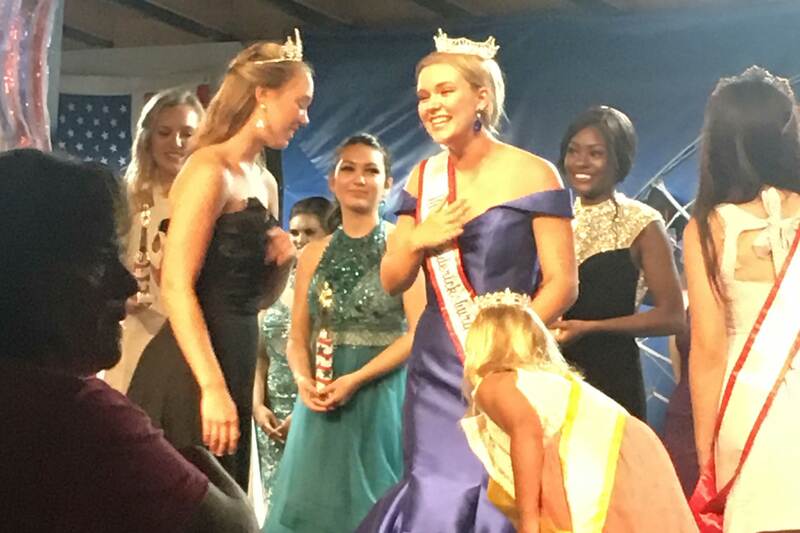 The State Pageant will be held on January 2-5, 2020, at the Omni Homestead Resort. Miss contestants will have a six (6) minute interview and will be required to speak on and issue/platform of concern to them. Queens representing the Fredericksburg Agricultural Fair will be expected to conduct themselves in a mannerly fashion, including online activity. Facebook, Twitter, Snapchat, Instagram and/or similar sites need to be tasteful. Any infraction of this rule may result in immediate forfeiture of the title. Orientation Dates and Information: Orientation will take place on the Fairway Stage.